Professor Robert L. McCrory, a physicist and scientific leader who has shepherded the University of Rochester’s Laboratory for Laser Energetics to international prominence during the past 35 years, will retire from the directorship on October 1, the beginning of the federal government’s fiscal year. McCrory, who holds the title of University Professor—one of just eight current or former members of the faculty to receive that distinction—and vice president and vice provost, will step down from the University as of December 31. Michael Campbell, deputy director of LLE, will become director of the lab, pending approval of the University’s Board of Trustees. President and CEO Joel Seligman said McCrory’s record of scientific achievement represents an entrepreneurial and interdisciplinary approach that are the hallmarks of Rochester’s approach to research and scholarship. University Provost and Senior Vice President for Research Rob Clark says McCrory’s leadership is synonymous with establishing Rochester as one of the preeminent sites for high-energy laser science. McCrory began his career at Rochester in 1976, arriving as a research scientist from the Los Alamos National Laboratory. He became director and CEO of LLE in 1983. Under his leadership, the lab has grown to become the largest single research facility at the University. It has also established itself as an important partner to the national laboratories, Lawrence Livermore National Laboratory, Sandia National Laboratories, Los Alamos National Laboratory, Massachusetts Institute of Technology Plasma Science and Fusion Center, the Naval Research Laboratory, and the Princeton Plasma Physics Lab. He has promoted partnerships with other area colleges and universities such as SUNY Geneseo. Since 1983, under McCrory, the lab has secured about $2.3 billion in support (in inflation-adjusted dollars). That includes federal appropriations through the Department of Energy, state funding through the governor’s budgeting process and agencies like NYSERDA and other sources, and private sponsored grants and contracts. The total represents the largest amount of sponsored research funding awarded to a single laboratory in the University’s history. The lab has provided an academic home to more than 500 PhD candidates, including more than 200 from outside the University, as well as offered research opportunities to generations of undergraduates and many high school students. “I’m most proud that this lab has grown from a small university research lab to a major research lab with an international reputation,” says McCrory. “It’s been my life’s work, and I take great pride in the number of students, the number of PhDs, and the original, groundbreaking, very cutting-edge research that the staff and scientists here have been able to undertake. McCrory credits the dedication of the staff with the lab’s success. Created in 1970, the laboratory is home to the Omega laser facility, the most powerful laser facility housed at any university and one of the most powerful of its kind in the world. The OMEGA system includes a 60-beam, high-peak-power laser that was proposed, funded, and completed under McCrory’s leadership in 1995. He also oversaw the construction of a second, four-beam system known as OMEGA EP, which became operational in 2008. The $100 million-plus facility can produce laser powers of over 1,000-billion watts, and has kept LLE’s facilities at the cutting edge of laser-science technology. Under McCrory, the lab has established itself as a world leader in the study of internal confinement fusion, an effort to investigate whether powerful lasers can compress the atoms in fuels such as hydrogen to induce nuclear fusion. More recently, LLE has undertaken a strategic effort to establish itself as a leading center for the study of high-energy-density physics, an exploration of matter under pressures that can only be found in stars and in large planets. Such “laboratory astrophysics” is expected to lead to the creation of new materials and provide insights into the make-up of the universe itself. McCrory has served on several National Academy of Sciences committees on military space policy and plasma science. He has served on Director’s Review Boards of Lawrence Livermore National Laboratory and Los Alamos National Laboratory and is currently a member of the Lawrence Livermore National Laboratory’s External Review Committee of the Weapons and Complex Integration Directorate. His honors include election as a fellow of the American Physical Society and fellow of the American Association for the Advancement of Sciences. He received the career award from the Hajim School of Engineering & Applied Sciences in 1995 and the Leadership Award from Fusion Power Associates. McCrory holds faculty positions in the Departments of Mechanical Engineering and of Physics and Astronomy. Since joining the University in 1976, he has served as a member of the Faculty Senate (1986–89, 1990–92, and 1994–96), and as the chair of the senate’s research policy committee (1997). 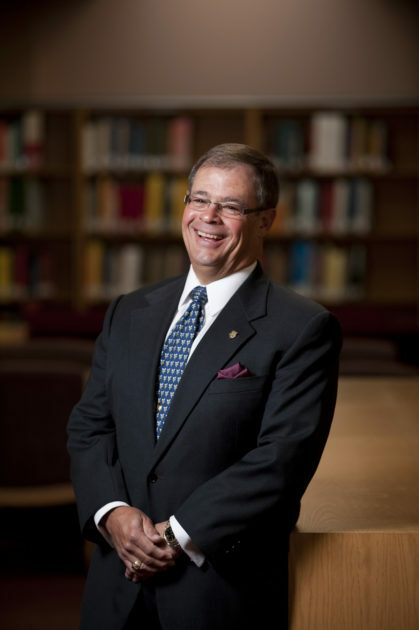 He served as executive director of governmental relations under President Thomas Jackson for the University from 1997 to 2004. He received his bachelor’s and doctorate degrees in physics from the Massachusetts Institute of Technology. McCrory has authored or coauthored more than 250 scientific journal publications. Some of his key contributions to inertial fusion include his work on the wavelength dependence of hydrodynamic efficiency on laser-driven targets and the hydrodynamic stability of inertial fusion capsules.